Get rid of unwanted pests with these Terro Fruit Fly Traps. They're ideal for placing inside or outside your home. These traps are made with a food-based liquid that prevents fruit flies from multiplying. They lure the pests inside where they can't escape to continue breeding. These non-toxic fly traps come in a convenient pack of two. 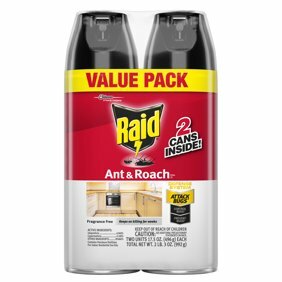 Use them to eliminate pests for up to 60 days. These plastic containers have sodium lauryl sulfate as an active ingredient. This really works - well! !